Allows you resize, convert images to BMP, GIF, ICO, JP2, JPC, JPEG, PCX, PDF,PGX, PNG, PNM, RAS, TGA, TIF, WBMP image format. Support input PDF, MNG, Raw Image, BMP, GIF, ICO, JPEG, JPEG 2000, PCX, PNG, PSD, TIF, WMF, WBMP, TGA, PGX, RAS, PNM image files. Support adjust JPEG Quality when save as JPEG format. Support keep EXIF tag when save as JPEG format. 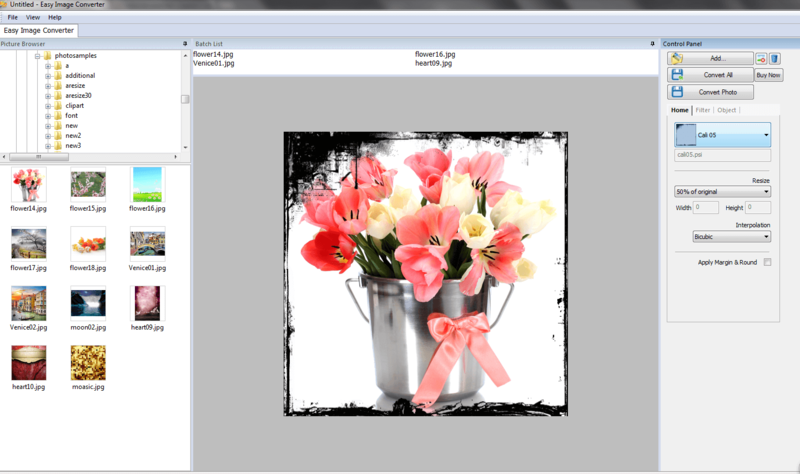 Display EXIF tags information when preview an image. Support save as multipage PDF or PDF/A file. Save as 1 bpp, 4 bpp, 8bpp, 8bpp with grayscale, 16bpp, 24bpp TIFF file with LZW compression. support zoom in, zoom out, crop an image when editing specific image. Support adjust GIF quality and allow set transparent color when save as GIF format. Rewrite the engines, support output and input popular image formats.